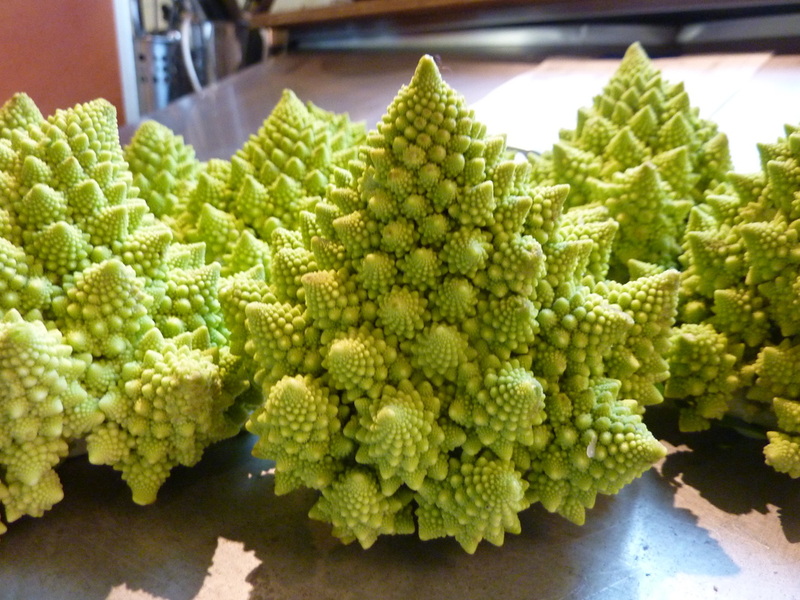 Romanesco Cauliflower is such a wonderfully awesome example of fractalized beauty in the garden, on the table, and in nature in general. She's stunning folks, plain and simple. And, of course, she's tasty, too! In flavor this head is much like cauliflower, with definite hints of broccoli--kind of a general, delicious brassica flavor. This veggie can be included in any recipe where you'd normally add broccoli or cauliflower. On the snack tray its a delicious, nutritious conversation piece. Steamed, on a bed of linguine with lemon and garlic, they'll get to show off like they should, while adding color and flavor.